Probate is the court process required when a decedent owns assets in their individual name. The Probate court requires assets to be identified and valued, and creditors to be notified and paid, before the assets may pass to the beneficiaries of the estate. The Probate court oversees the Personal Representative’s actions to assure the beneficiaries and creditor’s interests are protected. 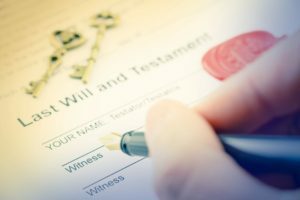 If the decedent instead left assets titled in their Trust, then a probate would not be required. Although a Trust avoids the probate process, there are still certain requirements that must be met under the Florida Trust Administration statutes. The process of providing for the orderly disposition of clients’ assets after their passing can affect Trusts as well as the traditional probate of an estate. We work with Personal Representatives and Trustees to ensure that the legal requirements for notification to creditors, payment of taxes and other legal obligations are carried out efficiently and expeditiously.